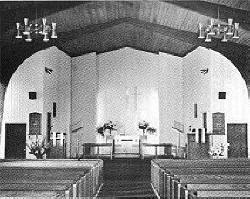 Do you have photos, historical accounts or other items pertaining to the Ely area? Would you like to share this historical information with the world? LakesnWoods.com would like to publish your Ely photos (current or historical) or historical accounts on this website. Original materials can be returned and your privacy will be respected. 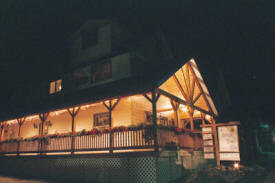 The Lofts' and Inn's accommodations have an old world hostel charm yet offer the privacy of individual bathrooms. 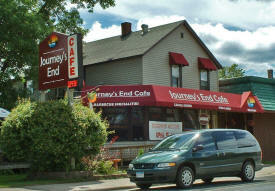 Located in downtown Ely, both are within easy walking distance to Ely's finest restaurants and shops. 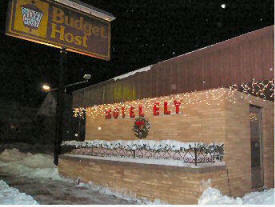 Ely's newest and most remarkable lodging facility. 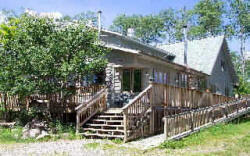 All of the rooms have air conditioning and digital cable television. There are smoking and nonsmoking rooms and accommodations for pets. 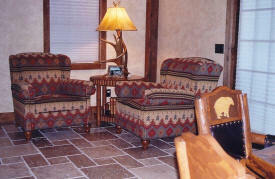 We also have accommodations for large groups and four of our rooms are handicap accessible. We do cabin, house, pole barn and garage packages from foundation to finish, professionally built on your site by our licensed contractor. From helping with the floor-plans to finishing the interior trim, we do it all! Fraternalism is all about people coming together for a mutual benefit and working toward a common goal. Fraternal life insurance plays an important role in all of our plans for financial security, final expenses, and peace of mind. 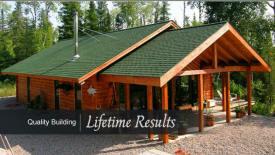 Our goal is to create high-quality homes, cabins, and additions, as well as renovations and remodels. We can fulfill all of your construction needs with a full range of services from the foundation to the roof. 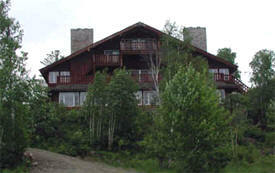 Anderson's Resort is located on the east arm of scenic Burntside Lake just seven miles north of Ely on the Echo Trail. 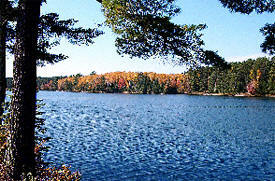 Burntside is a deep, clear, spring-fed lake dotted with hundreds of islands. 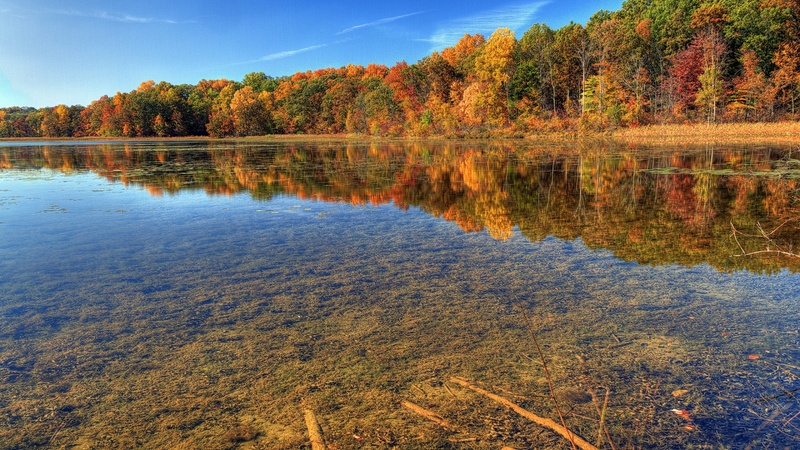 This eleven-mile long lake provides a beautiful setting for boating, swimming, scuba diving, fishing, and water skiing. We are a locally owned abstract and title insurance company with more than twenty-five years of experience in the title business. Whether your interest lies in landing giant northern pike, massive lake trout or what is the much revered and sought after, walleye, Ely has it all. And THE place to begin your quest is Babes Bait and Tackle. 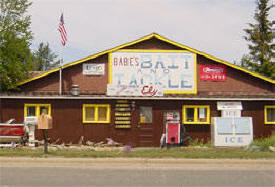 Babes has been in the same location for over 27 years, one of the oldest fishing landmarks in the region. We specialize in interior design for homes, lodges and rustic retreats and create furniture to achieve our interior designs. We work as a team with you, your builder, and your architect. 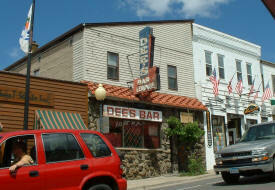 We are your HVAC professionals in the Northwoods. Whether you need heating, cooling, ventilation, or humidifiers, Bare Feet is the place to call. Our installation and service is second to none. 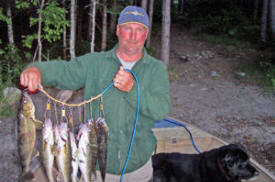 Basswood Bob's North Country Guide Service offers open water fishing in the spring, summer and fall. 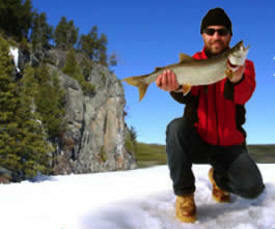 During the winter months (December thru April) we offer dog sledding, ice fishing and winter camping. Secluded in the Northwoods, this park contains pristine lakes; it is home to black bears, nesting eagles, wolves and moose. Stands of white and red pine trees tower over the birch, aspen and fir trees. 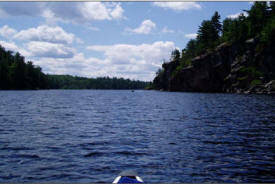 Located just south of the Boundary Waters Canoe Area, the park shares a similar wilderness quality. Whether you're buying or selling, let the realty professionals at Bear Island Land Co. provide you with all your Ely, Minnesota real estate needs. 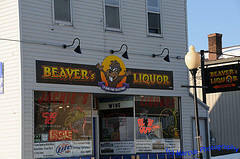 Ice-cold beer, wine, spirits, and BWCAW approved containers. We also offer party planning. Join us at Big Lake Wilderness Lodge north of Ely MN and have the experience of a lifetime in the wilds of the Superior National Forest. Rustic, cozy cabins with modern housekeeping conveniences allow you to experience the wilderness from a comfortable base. 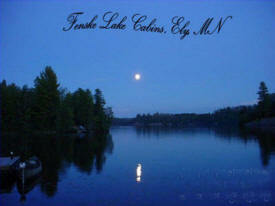 Ely MN Guiding Service for the BWCA and Ely area providing guided fishing, camping, and hunting trips year round. We offer much more than just an ordinary gift shop. We have many rooms of unique and affordable gifts- from candles, gourmet food and kitchen towels, cold Dorothy Molter Root beer to baby gifts. 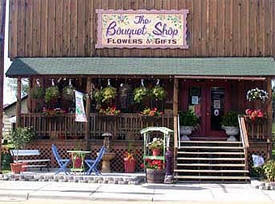 We also carry garden decor, Northwoods decor, and Isabel Bloom sculptures. 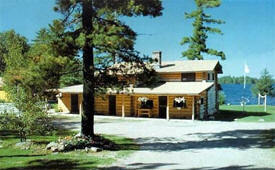 "The B & B with a million acre front yard" adjoining one million acres of Boundary Waters Canoe Area Wilderness. 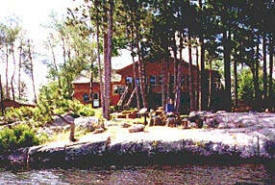 Canoes, snowshoes, sauna included. Hiking, ski and bike trails. Wildlife abounds. Five rooms, all private baths, king or queen beds, 2 family-sized suites. Lunch and dinner optional. Children/pets by arrangement. 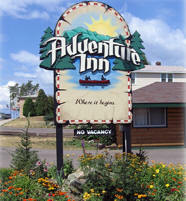 Specializing in high-quality, custom-made signs for your home, cabin, property or business is what we do best. Our philosophy and values reflect those of our unique community, and our commitment is to become active participants in the energizing of the local economy. Boundary Waters Chocolate Co is dedicated to providing the finest chocolate products in unique, original and memorable styles in attractive packaging. Contact us to see how eye catching and delightful chocolate designs can boost your image and effectiveness in Marketing, Trade Shows, Special Occasions and Fundraisers. 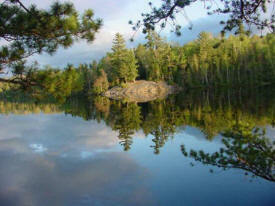 An outdoor magazine covering the Boundary Waters Canoe Area Wilderness (BWCAW), Ontario's Quetico Provincial Park and the Superior National Forest devoted to camping, canoeing, fishing, wildlife, history, equipment, northwoods personalites, plus valuable how to and where to trip planning advice to make your next BWCAW/Quetico adventure the best it can be. Includes exquisite four-color photography. Published from a log cabin in the Superior National Forest near Ely, MN. 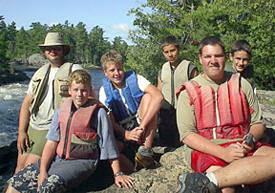 Boundary Waters Outfitters is Ely Minnesota's canoe trip outfitter. A Boundary Waters Outfitters canoe trip awaits you here in Ely Minnesota's Northwoods, start planning your adventure today! 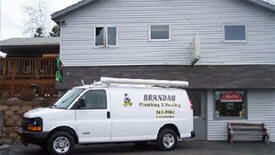 Brandau Plumbing and Heating and Heating, an established business since 1972, is located in the beautiful north country of Ely, Minnesota. 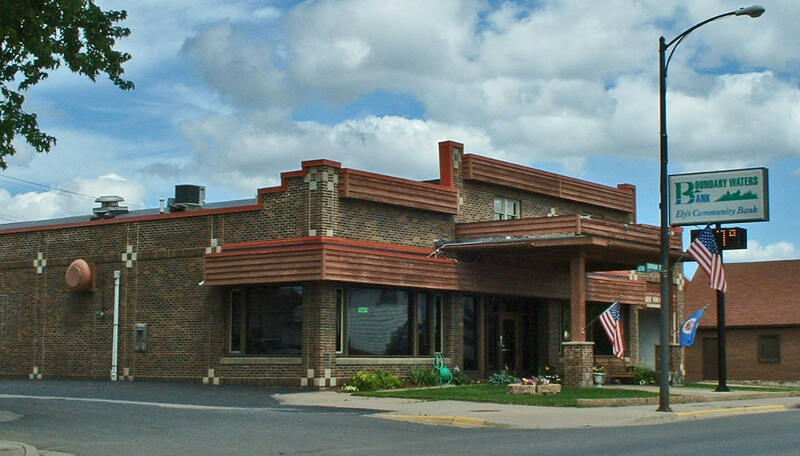 Located in Ely, Minnesota, Motel Ely Budget Host is a family owned and operated motel located in the Superior National Forest, and is a main departure point for the Boundary Waters Canoe Area (BWCA). 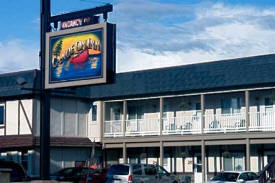 Motel Ely offers impeccably clean, comfortable rooms with a courteous staff. We have been awarded the Budget Host Award of Excellence four years running, and are also Mobile Travel Guide rated. Legendary for its fishing and unbeaten for its scenery Burntside Lake is one of Ely's best-known landmarks. A leisurely excursion on these waters reveals some of Ely's rich history and heritage. 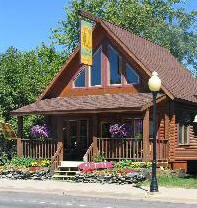 Burntside Lodge is the oldest guest lodge remaining in the Ely, MN area. Nestled among pines on the southern shore of Burntside Lake, Burntside Lodge maintains the grandeur and charm which has attracted guests since the tradition of The Lodge began in 1913. Our season begins in mid-late May each year and concludes in late September. 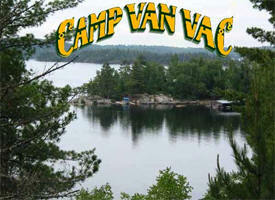 Boundary Waters RV is located in Ely Minnesota and provides the latest in RV parts, and accessories. BWRV is also sells and rents RVs. Looking for a remote cabin that allows you to get away from it all? Then look no further. 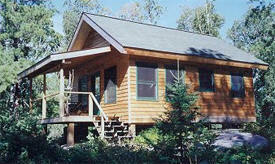 We have the perfect rental cabins. Located in northern Minnesota near the famed BWCA, Wolf Point cabin and Big Pine Cabin are remote enough to provide sanctuary from the hurried pace of modern life. CADline Design, Inc was started in Northern Minnesota in 1992 by Tony Roethler and quickly became a highly competitive drafting and detailing company. CADline provides a wide range of services to industrial and commercial companies as well as private individuals. The remote location of YMCA Camp du Nord has been calling visitors to the Northwoods for decades. The beauty of the setting with the vast sky and towering pines provides a location ideal for renewal, growth and challenge. 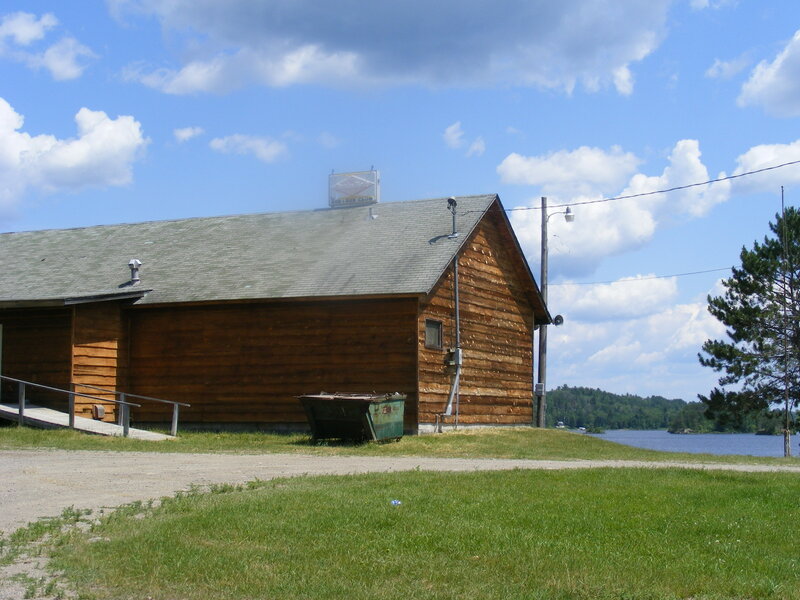 Camp Van Vac, a lakeside resort with log cabins and fieldstone cabins, is on Burntside Lake in Ely, Minnesota, near the Boundary Waters Canoe Area Wilderness. If you're looking for the best in BWCA canoe trips or Quetico Park canoe trips, then look no further. Canadian Border Outfitters is your total BWCA and Quetico Park canoe outfitter, providing both complete and partial outfitting. 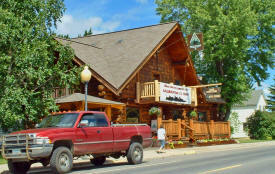 Your first portage will transport you into our world - the world of the canoe outfitter; a world of specially designed camping equipment, fishing tackle and outdoor clothing; a world of canoe country maps and charts, routing tables and trip briefing areas complete with "How To" videos on fishing, camping and canoeing. 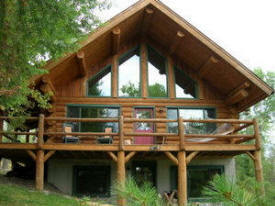 We specialize in log home electrical installation and have served the area since 1986. 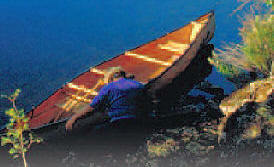 There is no job too large or too small for Canoe Country Electric of Ely Minnesota. 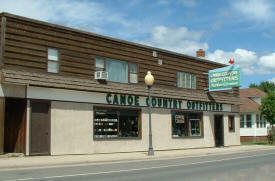 Canoe Country Outfitters is offering canoe, camping, and fishing trips to the Boundary Waters Canoe Area (BWCA) of N.E. 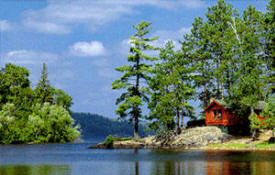 Minnesota and Quetico Park of Canada and has done so for over 50 years. 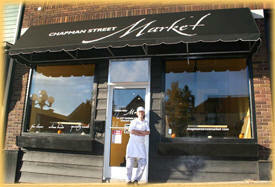 Chapman Street Market is a unique gourmet food shop specializing in fine cheeses, artisan breads, patés and dry-cured sausages, plus specialty food items, including teas, crackers, olive oils and spreads. Charlotte's Wreaths offers beautiful wreaths, floral arrangements, and a plethora of fine gift items. 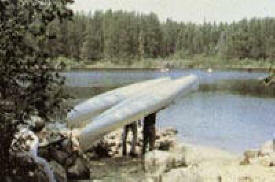 Cliff Wold's Canoe Trip Outfitting - Cliff Wold and his expert crew of Outfitters, guides, and support crews have the expertise only experience can give. 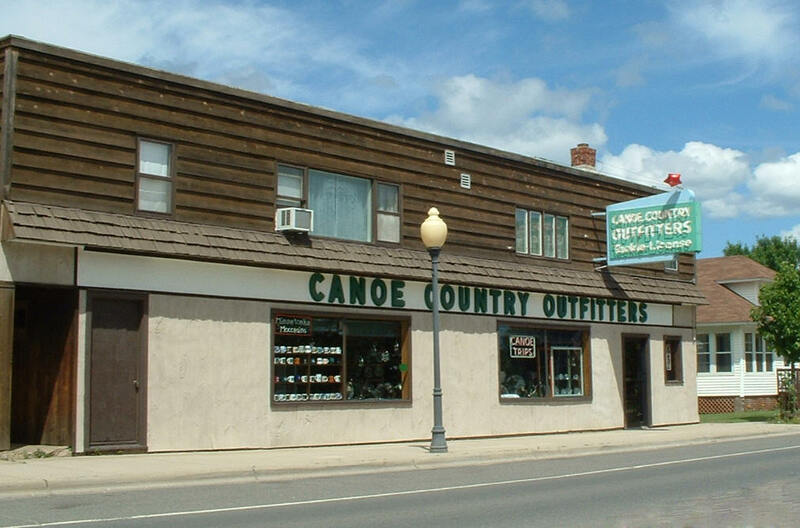 Whether you are planning a Canoe Trip to the BWCA or Quetico Park, Cliff Wold's outifitting has exerything you need for a fun and memorable trip. 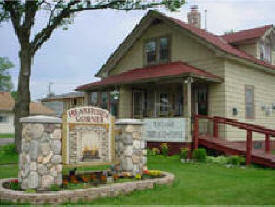 Cobweb Antiques offers a large selection and variety of fine antique items and collectibles. We at Code Plus Construction build quality custom homes, lake cabins, additions, garages, remodeling and fine woodworking in our cabinet shop. We also offer quality ceramic tiling services. 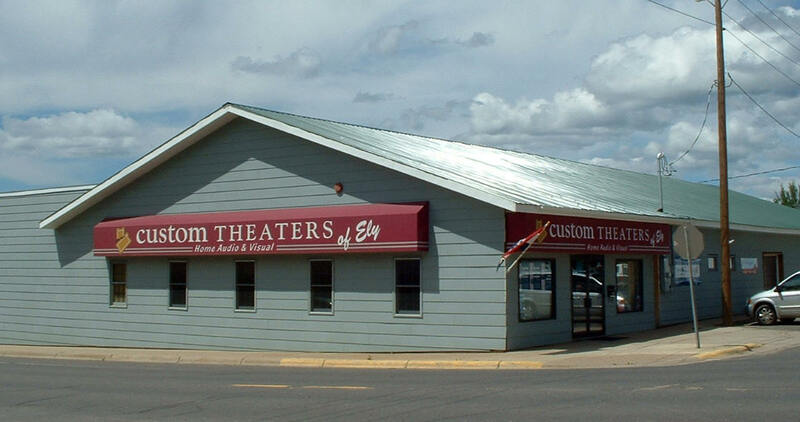 ElyRealty.com is the only Ely Minnesota Real Estate website which allows you to search for property in Ely, the BWCA, Lake Vermilion, Tower, Babbitt and the surrounding area by type, price, size and more! 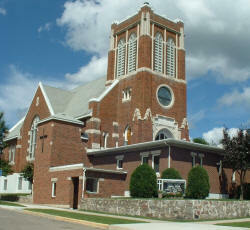 We offer the largest database possible of properties in the Arrowhead & Iron Range area. This gift shop features handcrafted items, candles, accessories, wreaths, North-woods décor, frames, baby gifts, handmade potpourri, rugs, pillows, specialty foods, and much more. 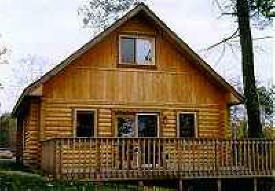 The chalet consists of 6 large bedrooms each with it's own bathroom. The bedrooms have two queen beds so each room can accommodate 4 people. Two of the bedrooms have their own fireplace and two have private balconies. Each room has a fridge, coffeepot and hairdryer. Wireless internet is also available. 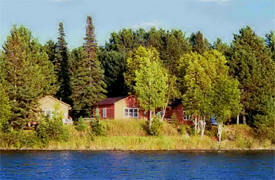 Ely Minnesota lodge and resort, Custom Cabin Rentals, located near the Boundary Waters on Moose Lake in Ely Minnesota. 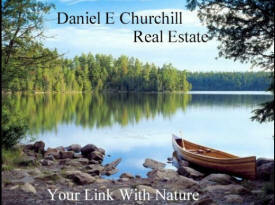 Daniel E Churchill Real Estate, providing real estate brokerage and services throughout northeastern Minnesota, also known as the Minnesota Arrowhead. 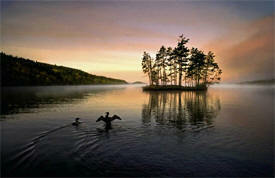 Minnesota 's Arrowhead region is home to some of the most desirable lakeshore real estate in the country. Dirty Dog Manufacturing creates custom 100% Authentic Iron Ore Clothing in Ely Minnesota. All garments are actually individually hand-dyed with 100% Iron Ore, right here in Ely, Minnesota! Get the most out of your waterfront fun with Docks on Wheels. Since 1978, Docks on Wheels staff has perfected no-nonsense construction techniques for roll-in or stationary docks. 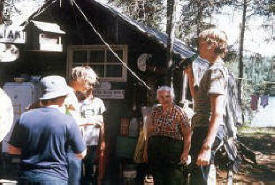 The Dorothy Molter Museum is a memorial to the legendary last resident of the BWCAW, who died in 1986 after living most of her 79 years on Knife Lake near the U.S.-Canada border. Canoeists often stopped at Molter's home to enjoy her hospitality and famous homemade root beer (she was often referred to as "the Root Beer Lady"). Open 10:00 - 5:30 Mon-Sat, and Noon - 5:30 on Sun. Open weekends in May and September. 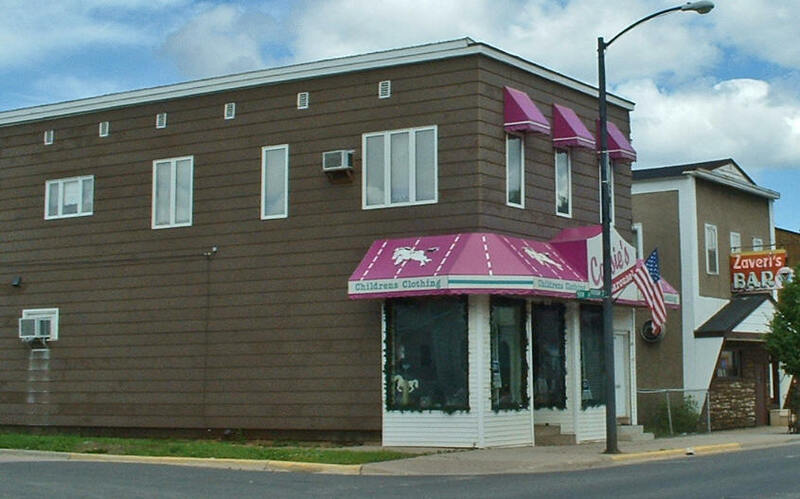 Duluth Clinic-Ely, a premiere northern Minnesota medical clinic, provides a full spectrum of primary care and a wide array of specialized healthcare services. 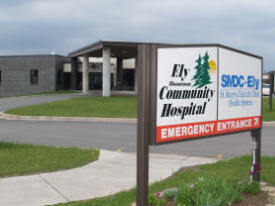 As a regional clinic within in the Duluth Clinic system, the Ely Clinic helps local residents reap the benefits of small town living — without having to travel far for world-class care. 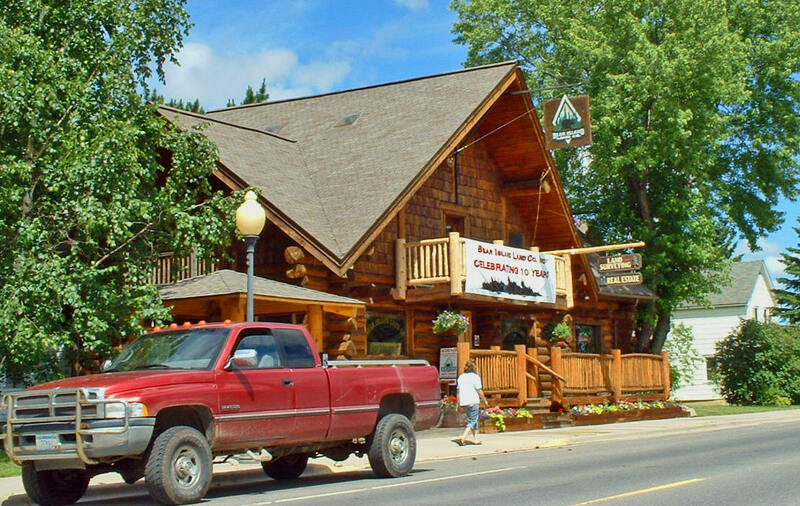 We are a small, family owned Ely, MN BWCA Wilderness Resort and BWCA Wilderness Canoe Trip Outfitter on Fenske Lake located just off the scenic Echo Trail north of Ely, MN. Our love of canoe camping, fishing, hunting and trapping along with the variety of winter activities we enjoy has taken us into parts of the Superior National Forest seldom visited by human traffic. Edward Jones, Jeffrey K. Sundell, Jr.
Ely Adventure Rentals, the Ely area's newest source for your outdoor recreational rentals. 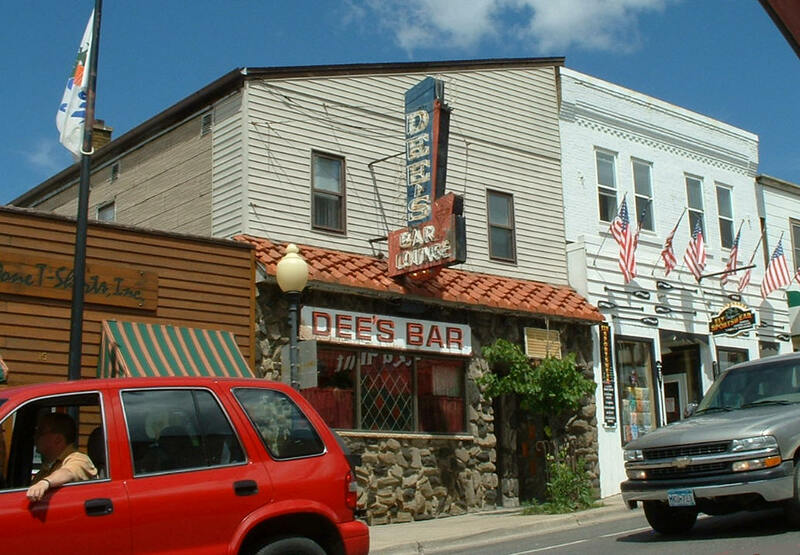 Our convenient location in the heart of the northwoods ensures that you will make the most of your next outdoor adventure! The Ely Area Development Association (EADA) was founded to create, promote, and facilitate economic and community development. We're here to help answer your questions and provide you the information you need to bring your business ideas and make our area your home. 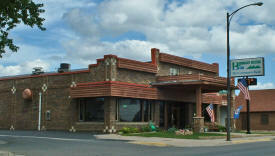 Ely-Bloomenson Community Hospital and Nursing Home is the largest healthcare center serving Ely and surrounding communities bordering the vast acreage of the Boundary Waters Canoe Area Wilderness (BWCAW). 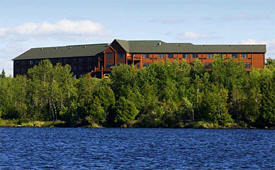 Canoe into the unspoiled, world-famous Boundary Waters Canoe Area Wilderness, relax at one of Ely's full-service resorts, or enjoy our fine shopping and dining. Ely Igloo Snowmobile Club, The 1st Snowmobile Club in the USA! 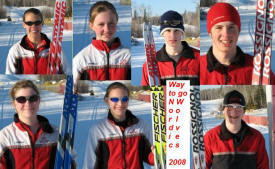 The Ely Nordic Ski Club strives to promote Cross Country skiing for fitness, competition, and for the improvement of quality of life for its members and for the community of Ely, Minnesota. 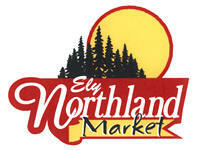 Ely Northland Market located in Ely, Minnesota is home to the finest Brats, Sausages and other meats in Northern Minnesota. Our staff of meat specialists are constantly coming up with tasty new creations for our customers to enjoy. Please browse through our site and see if there are any tasty treats that spark your interest. 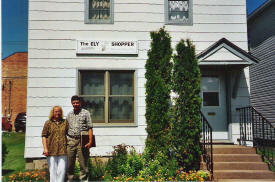 Since 1932, The ELY SHOPPER has provided the Ely area with a unique advertising media. Published every Wednesday, we deliver over 5,000 shoppers to Ely, Babbitt, Winton, and rural routes in the surrounding area. Famous, custom made T-Shirts and sweatshirts. The largest selection of women’s, men’s and children’s imprinted and embroidered apparel. Free decals. Open 7 days a week. The Ely Steakhouse, Ely, Minnesota's finest dining experience, with something to satisfy every taste! The lounge is the place to be, with something special happening every night of the week! Stop in and let us show you a great time! In addition to surf, skate and snow clothing, the Ely Surf Shop sells skateboards, wakeboards and wake skates in the summer, and snowboards in the winter. The local skate park is a great place to go show off your talents and learn some tricks from other skaters. Ely Surplus & Outdoor, a 50 year tradition of providing quality affordable outdoor clothing with partners like Carhartt, LaCrosse, Red Wing, New Balance, Stearns, Williamson Dickie. 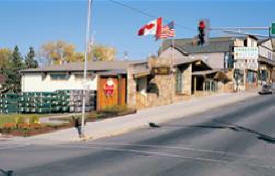 Located on Ely's Vermilion Community College campus, this center shows the local history of logging and mining through artifacts, photographs and displays. Memorial Day to the Week after Labor Day, 10 am to 4 pm Monday through Saturday. Closed Sunday. If you’re looking for something rustic and remote or something exceptional and elegant, elylodging.com offers a nice selection of privately-owned lakeshore homes where you’ll enjoy that special feeling of having your own private place on the lake. 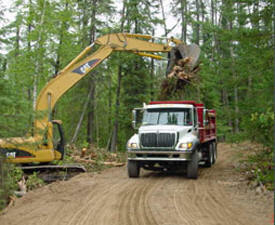 Enviro Trac, LLC is not just your typical land and brush clearing operation. 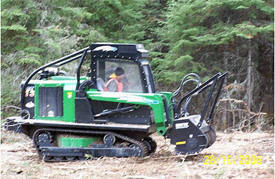 Our Gyro Trac® mulching machine can clear a path 5.5 ft wide per swath and can clear an acre in 3-5 hours, depending on the terrain and density of the vegetation, AND we do it at a competitive cost to conventional land clearing methods. We are a Residential Building Contractor specializing in new home construction and home renovation. We also offer General Contracting Services specializing in additions, new homes, and extensive remodels. Your home & cabin decor store... specializing in unique furnishings & accessories, wood & gas stoves and fireplaces, antique-styled appliances, garden accessories, hot tubs and barrel saunas, original artwork, pottery, linens & more. Ferrellgas is one of the nation?s largest propane supplier for your residential, industrial and agricultural needs. 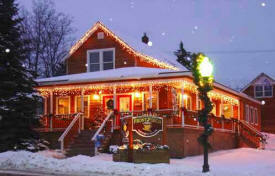 Buy buttons, grab a hot chocolate, cup of coffee or tea to go, or stay and enjoy the comfort of our fireplace room. Bring your children and let them play in their own special area while you watch from comfortable, plush chairs and couches. We are located on beautiful Garden Lake, a part of the Kawishiwi River chain of lakes directly connected to the Boundary Waters Canoe Area Wilderness (BWCAW). 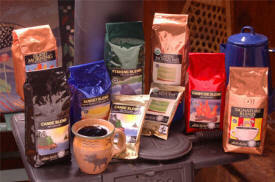 Our Gourmet Coffee is created right here in the heart of The Boundary Waters Canoe Area (BWCA). As a fishing guide in Northern Minnesota, I know how important a good cup of coffee is in the morning and after a day on the water. As every coffee drinker knows, getting a good rich, full bodied coffee that is low in acidity is very hard to find. Ely’s premier home builder. From outhouses to mansions and everything in between, Wood Wizards Custom Home Builders offers fast, efficient and friendly service. Gossip Bench features gifts, collectibles, candles, window lace, table lace, china, crystal, Precious Moments items, cards, candy, and more. Over 25 years of quality silk screening and embroidery. 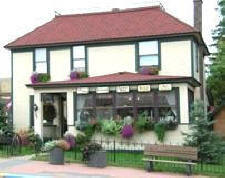 The people at Hearthside Corner know that your fireplace & stove is more than just a practical way to warm your home. It’s often the centerpiece of a room as well - something that family and friends will gather around. So, we make sure that every fireplace & stove is designed to be a masterpiece. Hi Folks, My name is Henry Held. 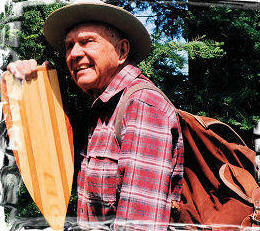 I opened my shop in 1973 and quickly learned that the Loggers, Trappers, and Miners up here were looking for quality outdoor gear that would last for many years, not just a season. I started making my Chopper Mittens in 1974, my Moosehide Belts in 1976. Stop by our glassblowing studio. Experience art in process. 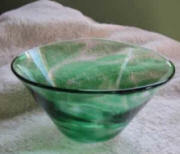 Join a guided glassblowing weekend. Glassware for sale at Ledgerock and The Pebble. 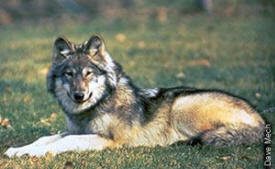 The International Wolf Center provides complete wolf information on wolf biology, their environment and interaction with humans. Irresistible Ink was founded on the principle that the power of handwriting can be leveraged to help companies and organizations improve their direct marketing results. Using our products Genuine Handwriting and Penmanship Printing as part of their personalized direct marketing programs, our clients have reported dramatically improved results. This men's and women's clothing and footwear outfitter features outdoor wear, sportswear, and casual wear. Bob was born and raised in Illinois, but in 1966, after years of visiting, moved to Ely, Minnesota where he lived for the rest of his life. 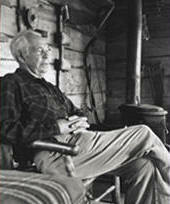 He is greatly missed in the Ely community for his writings, art, humor, music and insight. 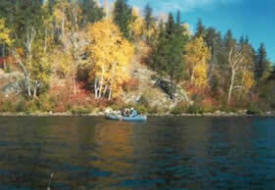 Jasper Creek Guide Service, Inc. offers an array of high quality wilderness fishing trips. 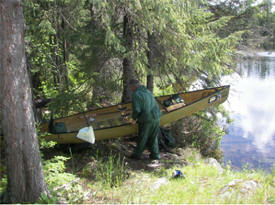 These are 'Classic' Northwoods canoe trips that partake in both the BWCA and/or Quetico Park. Don and Joan's comfortable, beautifully rustic and handhewn lodge is the starting point for these superb angling adventures. We offer Complete Outfitting and Partial Outfitting for groups of one to twenty, and as an added perk, overnight accommodations and breakfast are always provided before your trip. Beer, Wine and Liquor. The complete bottle shop. Ely Canoe Rentals on Lake One provides BWCAW travelers with convenience to canoes, outfitting, bunkhouses, cabins, camping gear, and routing for entry point 30 in Ely, MN. Whirlpool & Kitchenaid appliance sales & service. DirectTV & Dish Network sales & installation. King Koil bedding, AirTouch cellular, & Zenith & RCA television dealer. Kess Gallery offers you the best in regional fine art, great choices in craft including regional potters, woodworkers, weavers, etc. and is known both locally and by many visitors as the best shop in Ely, especially for jewelry! Ely's oldest construction company established in 1950. Put our years of experience to work for you on your next building project. Nestled on the shores of Shagawa Lake in Ely, Minnesota, Lady Bug Lodge is ready to make your vacation vision a reality. 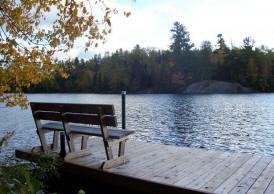 Whether you are searching for a peaceful getaway or an exhilarating fishing adventure, allow us to fulfill your dream. We have over 35 years of experience in the resort/marina business. 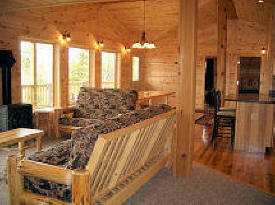 Clean, cozy, comfortable, knotty pine, northwoods rooms. On city spur trails. At door parking, pets welcome for small fee. Reasonable rates. All non-smoking rooms. 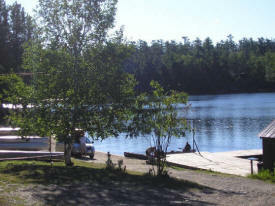 La Tourell's is the closest resort and canoe trip outfitter to Minnesota's Boundary Waters Canoe Area (BWCA) and Ontario's Quetico Park. We welcome you to all we have to offer. For three generations our family has been helping people enjoy our areas spectacular fishing, beautiful lakes, and abundant wildlife. Ledgerock features artists in a room located in the gallery known as the White Room. The remodeling is complete! Come by and see the renovated courtyard out back. There is a new rock garden with native flowers and grasses. The Listening Point Foundation, Inc., a nonprofit charitable organization, was established in 1998 and is dedicated to furthering Sigurd Olson's legacy of wilderness education, and preserving Listening Point, the rugged northern Minnesota lakeshore property. 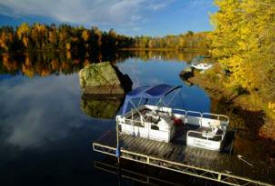 Remote Log Cabin Hideaways provides its clients remote cabin vacations and long weekend getaways in remote areas bordering the Boundary Waters Canoe Area Wilderness. 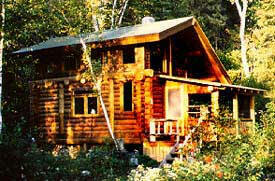 Our remote cabins are hand hewn log cabins. 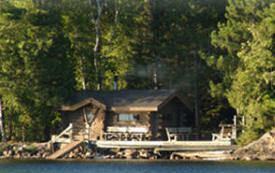 Most of our remote cabins are located just minutes from the BWCA away from roads and traffic. With over 31 years experience with heavy equipment, John Wavrin knows the damage excavating does to the land. He also knows it's necessary when building a road, installing a septic system or even building a house. That's why at Low Impact Excavators, John and his crew, leave "small footprints" removing only what is necessary-leaving the job site naturally landscaped, as close to original as possible. Lutefisk Technologies, Inc. provides affordable web hosting services for personal and business web sites. We guarantee every client quality service and reliable support. You can choose from four hosting plans the one that best suits your needs. Please note we do not have set-up fees or hidden charges.